Vacancies for the post of Consultant have been announced by the Security Printing Press Hyderabad. 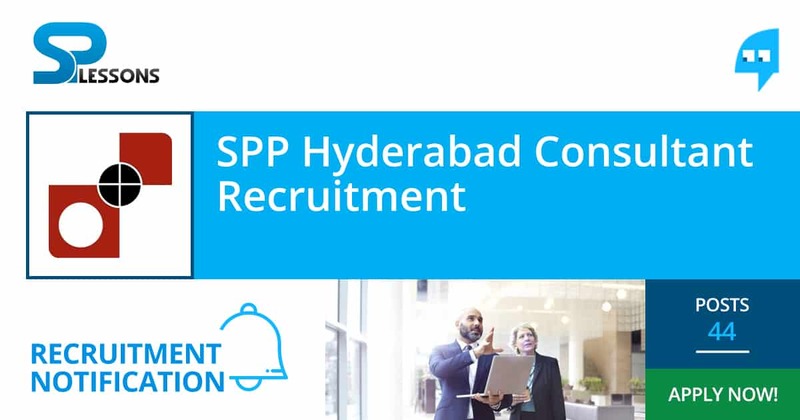 As per the SPP Hyderabad Recruitment 2019 notification, there are total of 54 vacant positions for the said post. Candidates who wish to get the said job may apply for the same by submitting an application form via offline mode. The format of the application form is provided on this page you can get it by hitting on the below provided direct link. The filled application form attached photocopy of all the required documents must be reached at the below-provided address on or before 08 April 2019. Selection will be done through Interview round which has been scheduled on 10 April 2019. Interested one who satisfies eligibility conditions can check the additional details of SPP Hyderabad Recruitment 2019 from below. Now go to “DISCOVER SPMCIL” section visible at the top menu bar of the home page. Thereafter drop down list will be appeared from where you have to press a “Career” link. On the next page go to “Recruitment of Consultants” notification and hit on “View Details “link. Complete details of notification will appear at your screen check the details carefully. Now go back to previous page and hit on “Application Form “link. Print a copy of application form. Fill the form in the prescribed format. To General Manager, Security Printing Press, Hyderabad, Mint Compound, Saifabad, Hyderabad-500 063.